The Publication wing of Rajah Ayurveda has been operating since 2002 In accordance with the aim of spreading Ayurvedic awareness globally, we recognize that providing information is the key to spreading the message of Ayurveda. 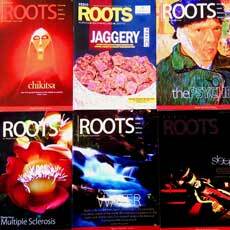 We also have our own Roots Quarterly journal which also includes content on ailments and treatments from experts in the field. 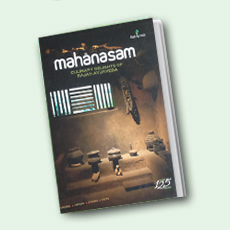 Mahanasam, a collection of more than 125 recipes that we have been serving at our institutions.this book also covers the ayurvedic fundamentals and norms regarding food and cooking as mentioned in classical ayurvedic texts. By Dr. P.A Ravindran, BAM, MBBS, Former principal, VPSV Ayurveda College, Kottakkal. 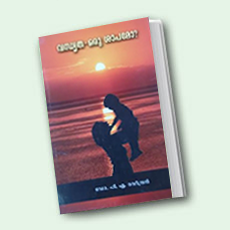 A book on Infertility By Dr. P.A Ravindran , BAM, MBBS, Former principal, VPSV Ayurveda College, Kottakkal. 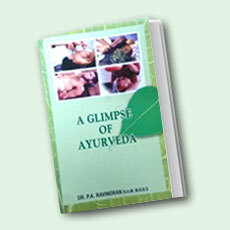 An Interactive CD giving insights on conditions and their treatments in Ayurveda. 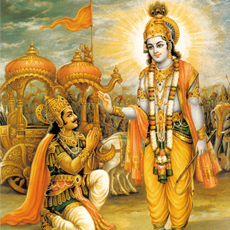 The Bhagavad Gita is a 700-verse Hindu scripture in Sanskrit that is part of the Epic Mahabharata.This malyalam commentary helps in understanding the hymns.